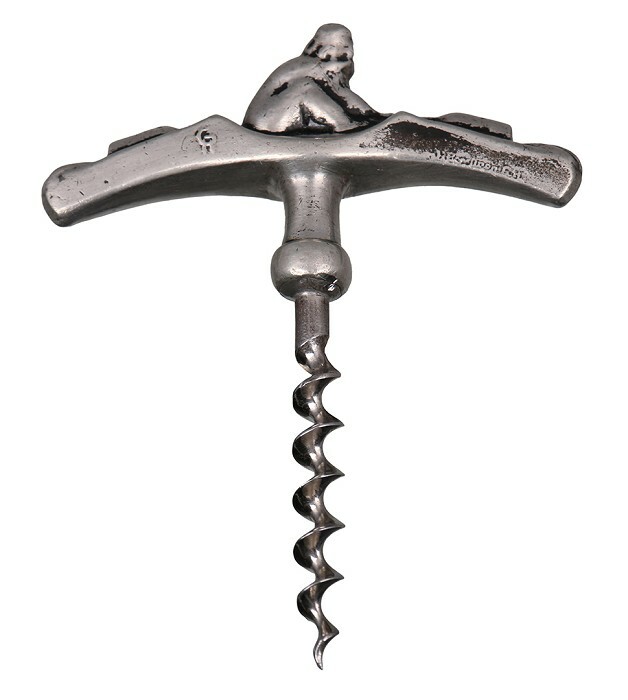 A nice and rare Scandinavian corkscrew made of pewter, showing a bearded man pulling the cork out of a bottle. The corkscrew was made by the Swedish artist Herman Bergman and it is marked "HG" and "H.Bergman Fud". The piece is in good condition.